Ancient Ozarks Natural History Museum. Ever since Johnny Morris discovered his first arrowhead as a child, he was fascinated by the area’s natural history. 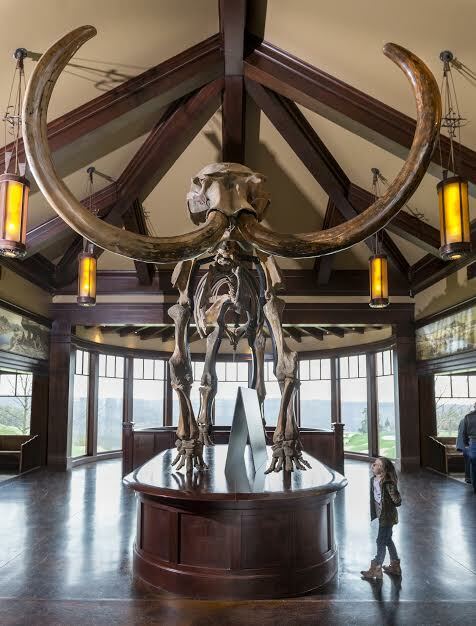 This exceptional museum, Morris’ dreamchild, has a world-class collection of Native American artifacts, artwork, Civil War relics and true-to-life dioramas of ancient animals common to the Ozarks. Not to be missed. Arnie’s Barn Restaurant. The food is good but this 150-year-old wooden barn is pure inspiration. Morris sent a team of local Amish craftsman to Arnold Palmer’s hometown of Latrobe, Pennsylvania, and had them take down, transport, and reassemble this barn at Top of the Rock. There’s a terrific collection of vintage photographs of Arnie and Jack Nicklaus along with Jack’s record-setting Black Marlin catch mounted behind the bar. Cedar Creek Spa. 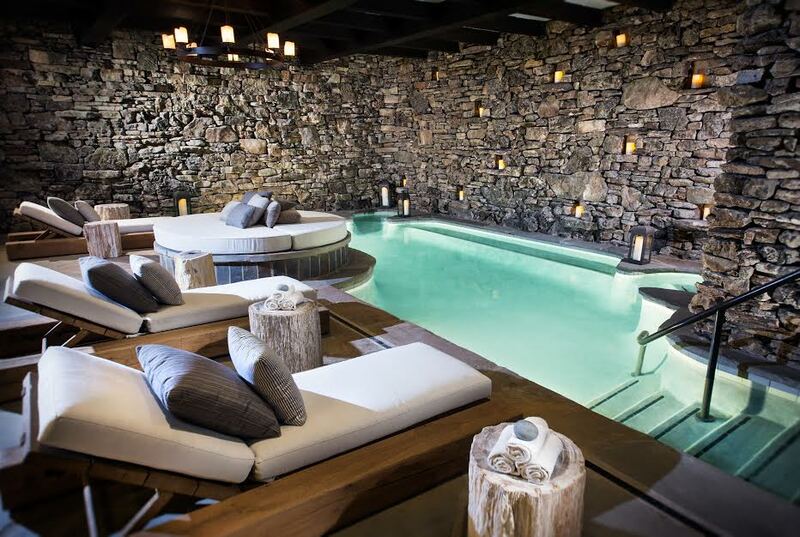 What better way to relax and loosen the joints and muscles by a first-class spa visit? This facility’s services, amenities and pools were as fine as I’ve ever encountered, including those at destination spa resorts. Lost Canyon Cave and Nature Trail. Not enough time for us but I heard glowing reviews about this 2.5 mile electric cart tour from another couple we met at dinner. They loved the waterfalls, natural rock formations, covered bridges, and more scenic views of Table Rock Lake. “Highly recommended,” said the Dallas-based couple. Table Rock Lake. Pick your pleasure of recreational diversions on the Lodge’s quiet cove: fishing, cruising, waterskiing, tubing, along with complimentary paddleboats, canoes and kayaks. And swimming and relaxing on a sandy beach, too. Chapel of the Ozarks. With its lofty perched location, this finely crafted three-story chapel is a must-stop for the young at heart. The sunset views are heavenly. Dining. Whether it be casual or fine dining, Big Cedar Lodge has it all. We loved lunch outdoors on the patio at Truman Coffee and Cafe and then later that evening treated ourselves royally for dinner at the resort’s flagship Osage Restaurant. College of the Ozarks. Only a short drive away, this campus—commonly known as Hard Work U— is worth a side visit. Founded in 1906, it’s unique for having its students work, rather than pay, for their tuition. Check out the Visitor Center for its highly regarded student-run restaurant. Branson live entertainment. No visit to this area is complete without taking in a live show in nearby Branson. Luckily, we caught opening show for the ninth season of SIX, a masterful, captivating performance by six brothers singing knock-out a cappela. Tightly paced, light-hearted and with an eclectic choice of tunes and harmonies, SIX delivers two hours of solid entertainment. It was voted “2015 Stage Show of the Year.” At the Mickey Gilley Theatre.